Microsoft has released at his own request from his position of General Director Nadezhda Vasilieva, responsible for the representative office of Microsoft in Ukraine and in Georgia and Moldova. About it today it became known from the press release of the representative office of Microsoft company in Ukraine. In particular, this release refers to the announcement out of Microsoft that Nadezhda Vasilyeva leaves the post of General Director in Ukraine, Georgia and Moldova. Hope decided to continue professional development and research activities in the United States. Nadezhda Vasilyeva was appointed CEO of Microsoft in Ukraine in 2014. For three years, she has successfully increased its partnership network, promoting the digital transformation of many clients, and also worked on the development of incubators, participated in educational and charity projects supported by the state program. “I am extremely proud of our joint achievements in Ukraine, Georgia and Moldova. Challenging projects and professional team of specialists of the Kiev office is allowed to take Ukraine a worthy place on the map digital transformation of the world and showcase the impressive results of the development of local and regional markets “, — explained Nadezhda Vasilyeva in an open letter to my colleagues. December 1 and prior to the appointment of the new head of the acting CEO is George Randelov, who was previously Director-public sector group of countries of Central and Eastern Europe. To work in Microsoft company George Randelov held the position of Director of IBM Bulgaria. Mr. Rangelov received two masters degrees: in engineering Sciences and international economic relations in Bulgaria and an MBA from Henley Business School, UK. George Randelov began his career at Microsoft seven years ago. He currently works as the Director of the public sector group of countries of Central and Eastern Europe. 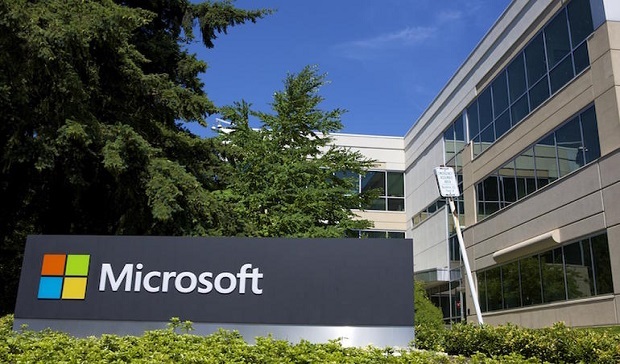 Founded in 1975, Microsoft Corporation is the recognized world leader in software development and in providing services and solutions that help people and companies achieve more. Since 2003 in Ukraine is the company “Microsoft Ukraine”, which aims at the development of the software market, as well as introduction and localization of the newest technologies on the territory of Ukraine. About further developments around the news will inform you. So, I hope to obtain detailed information after December 1 from Microsoft. You are reading an article on the The head of Microsoft in Ukraine, is leaving his post. All materials on the site Gadgets F, а также и статья The head of Microsoft in Ukraine, is leaving his post - written for the purpose of information enrichment and we are happy if you like our magazine. What Motorola smartphones will be updated to Android 8.0 Oreo?